I wouldn't normally do this but it's my blog, so I set the rules. Speaker company JBL is running a competition and will take two people to see Sir Paul McCartney in concert in Rotterdam, Antwerp or Zurich in March. Essentially you click this link and tell the company why you should win. I've seen him perform twice and am a big Beatles fan. He plays a load of the old stuff, his last single is among his best ballads, although I'm sorry to say the rest of the album doesn't stand up as well - Rod Stewart's Great American Songbook it isn't quite, mostly because McCartney himself has written more hits than many of the composers he highlights in it. The shows, though, are unbelievable - for a guy who's about to exit his sixties, performing a two and a half hour show must be utterly shattering but he does it with aplomb. His backing group are great, of course he can afford the very best sound systems and if a couple of the higher notes aren't quite what they were in 1967 that's fine. For most of the songs he doesn't need them. "Hey Jude" remains the best singalong of all time. "A Day in the Life" is distinctly eerie with McCartney singing both of the solos, "Eleanor Rigby" certainly stands the test of time, "Back In The USSR" is the belter you'd expect as a live number (REFERENCES TO 37 MORE HITS DELETED HERE). 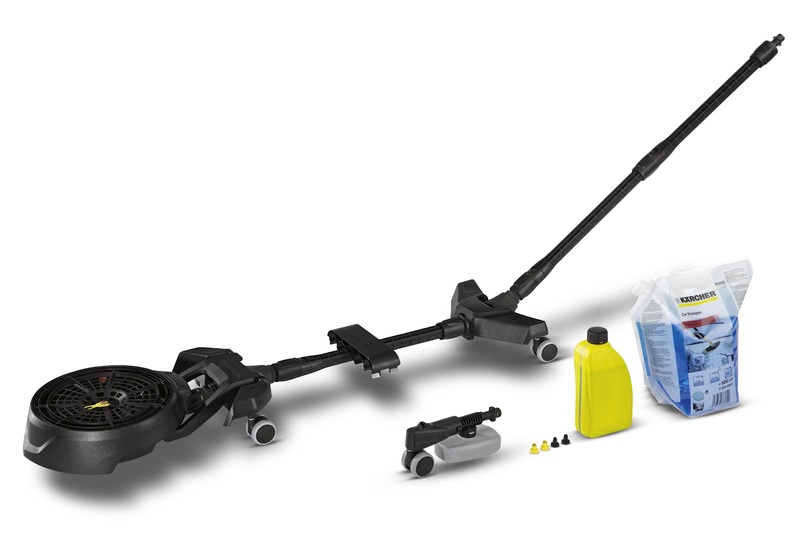 My thanks to the people at Karcher who sent a review unit of their Chassis Cleaner. They pitched it as a lifestyle accessory for men; that's fine, I'm a stereotype, although if you haven't got a driveway (I haven't, we park on the street) it's not going to be easy to use. The principle is simple. Your car gets damaged not only when it gets dirty on the surface but when it gets dirty undereath. This is where salt gets into the wheel arches and elsewhere and you might as well start saving up for its replacement immediately. So if you haven't got a garage with a platform onto which you can drive the car and clean it from underneath - which I'm guessing covers the vast majority of LifeOver35 readers - you need something that will turn the average jetwash into an underneath-the-car jobbie. This is easy to assemble and does the job well. Typically from Karcher the water pressure is impressive. Yes, you'll need a good bit of space and an outside tap is a help - the distance between the kitchen in our terraced house and the pavement outside would make this impractical as a regular thing. Nonetheless if you have the set-up then the just-north-of-£80 including VAT I found on a website could be a very good investment that will extend the useful life of your motor. I'm going to try a new service. It's called the Smithfield Case. In spite of its name it is nothing to do with a meat market in London. The idea is simple; you decide it's time you had some new clothes, the wardrobe's due for a refresh, so you order a case of them. You can make specific requests of course but mostly the system seems geared towards blokes who can't be bothered signing up and hitting the "I'd like some decent clothes please" button. They deliver them, you try them on, decide what you like and what you don't. They pick the rest up and then charge you for the stuff you've kept. It sounds very simple, and of course you can specify stuff you like and stuff you don't - I've asked for "no jeans" for reasons that will become apparent very quickly to regular readers (he says, mysteriously). They take your sizes, your preferences - I opted for "casual/weekend", ignored "edgy" for example - you say which colours you like and what styles you like wearing. You also set a budget and they're quite frank that the cheaper stuff isn't their market; anyone wanting trousers for under £75 will need to shop elsewhere. So I'm just waiting for my first box to turn up. 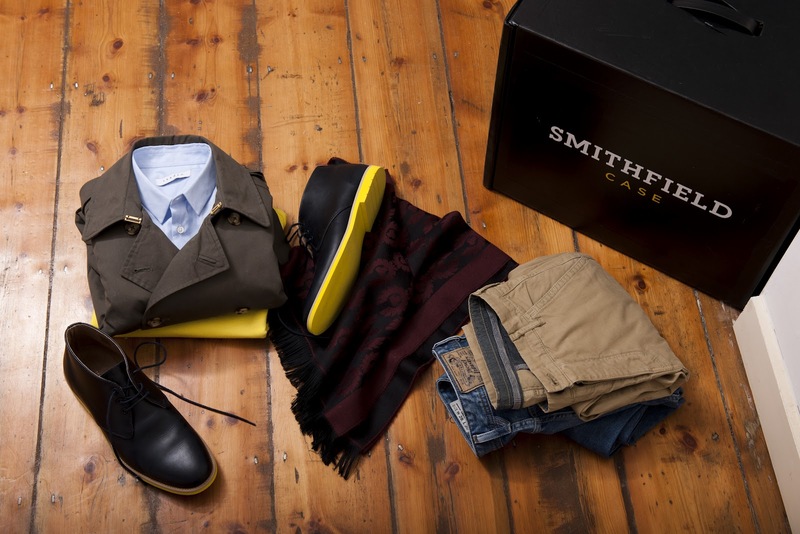 It might contain stuff from APC, Bertie, Diesel, Gant, Paul Smith, Reiss, many such designer brands. Reasons I think it might work: I rarely have the time to go out and look at shops. And when I do I often find my wife has a better eye for what's going to suit me than I do. The convenience and the ability to ask her what she thinks at leisure could get me some very nice pieces. Reasons I think it might not work: The idea of just getting "some clothes" bothers me a little. Many people will be a little more specific than that in their needs. Or a lot. rather than a model, and who are we to judge? A travelling tailor in the City has noticed that suit waistlines are getting slimmer - which means two things. First the economy might be disastrous but it's doing our health no harm at all. Second, I am way out of step - but that's not important. Tailors Norton and Townsend say the average waist size has shrunk from 36 to 34.5in, and chest measurements have gone from 44 to 42. "The majority of our clients are at executive level who would have seen a business lunch almost as part of their daily working life," said boss Austen Pickles. "But that is no longer the case with expense accounts and lazy lunches out of keeping with the downturn in the economic climate. "With the emergence of so many different online networking platforms, businesses can often do without the business lunch with its demands on time and finances. It is most noticeable as average sizes drop." The other thing that's happening is that people are going for lighter-weight fabrics. Pickles believes this is because they want to move about more easily and quickly than they did before. To be fair this is nothing new. I had my first tailored suit made in the early 1990s and even then the tailor told me that although the classic suit hadn't changed much since the 1970s he'd typically be using lighter fabrics than he used to; that this trend has continued is no surprise. So is everybody losing weight except me? And have you noticed either tailored or off-the-peg suits coming in lighter-weight cloth? 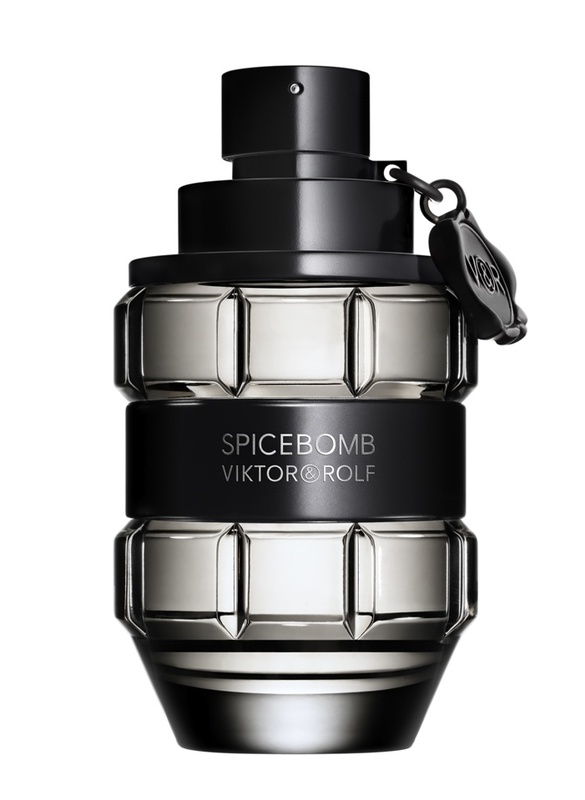 My thanks to the people from Viktor and Rolfe who have sent a bottle of their new scent, Spicebomb, arriving as it did in its own neat hand grenade shaped container. So far, so extremely blokey - it's a bit of fun. St £45 for 50ml it probably needs to be; that said, why so many people sell scents in 75ml bottles is beyond me as some of them can go off way before you've used them all up. So the bottle's fun but what about the scent? It has a lot of spice as the name suggests, like a stronger Dunhill 51.3n if you know that one. Grapefruit, bergamot, and leaning towards berries rather than citrus I thought. It's very modern and I'd guess targeted against stuff like the Hugo Boss range I reviewed here. This has a similar dizzying quality - like the King says in Amadaeus, for me there are "too many notes in it" - I'd advise it for a younger man, it'll rise above some of the others when you're out clubbing. It's called "Spicebomb" and absolutely isn't claiming to be subtle so fair enough, it isn't at all; for that reason it's not for me, but if your tastes are for something a bit bold then this might be the one. 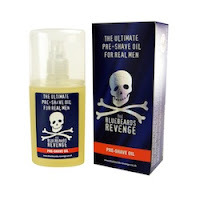 Just a quickie today, normal service will be resumed very shortly (half term last week) but I did want to draw everyone's attention to a new campaign by shaving company The Bluebeards. It's about testicular cancer and it's trying to draw attention to the fact that a quarter of we blokes never check ourselves for changes in shape and other danger signs. During the seventies and eighties, the female cancer lobby did an admirable job of highlighting breast cancer and ovarian cancer. Prior to a lot of campaigning people didn't mention those illnesses, they were a taboo, and guess what - people didn't check themselves and died unnecessarily early in some dismal cases. This awareness continues and is an excellent thing. Blokes, meanwhile, like to kid ourselves we're pretty much immortal. We don't need to check ourselves, we don't get cancer, we don't go to the doctor much because we don't need it, right? And anyway, feeling for new lumps and changes is embarrassing, and what we don't know won't hurt us, seems to be the logic. Well, dream on, folks, that's not how it works. Bluebeards is working on building awareness and I'm pleased to support them. Campaigners on female cancers have set and continue to set an inspiring precedent - it's time to get over ourselves and join them. Valentine's Day is coming so you can expect some gift-related posts between now and Tuesday - but first, here's something I certainly couldn't afford but would like to support. It's an auction - you can bid online here - of a bottle of Janet Sheed Roberts' Reserve whisky from Glenfiddich, in aid of Walking With the Wounded. It's a very nice whisky (click the picture for a larger view). At least I hope it is because the last bottle of this malt went for £46,850, making it the most expensive single malt in the world up to and including the present day. 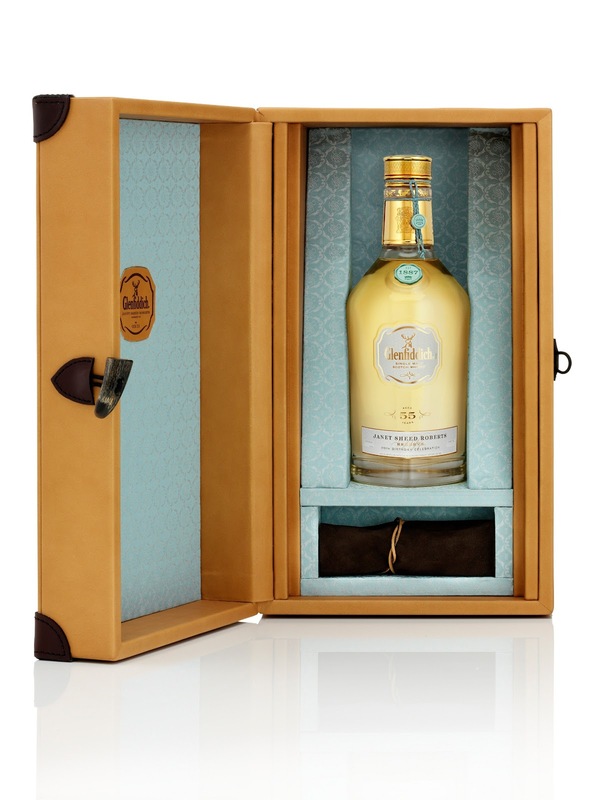 It's 55 years old, comes in its presentation case as you'll see, and is very much the sort of thing rich people buy because they can rather than because they intend to drink it (even in tiny measures that price wold tot up to around a thousand quid a tot). Janet Sheed Roberts is descended from the founder of Glenfiddich and at 110 is Scotland's oldest living person. Londoners can go to the auction itself on Friday from 6.30-8.00pm, Armoury House at the Honourable Artillery Company, EC1Y 2BQ. Apply for an invitation by emailing this link - it's nothing to do with me so no use chasing this blog for further info. 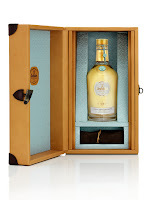 The whisky itself is pale and light, with oaky notes, says the release. That's unlikely to matter much as the buyer isn't going to be prone to drinking it. I've never understood buying drinks in order not to drink them, it's like art collectors putting their paintings into storage. Of more interest is Walking With The Wounded, which will get the proceeds from the sale. This aims to re-skill and re-train injured people from the armed services with particular attention to the physical and mental damage they'll have suffered. Whatever your political standpoint on the various conflicts in which they've been injured, the individual servicepersons were out there in conflict zones representing our country and I hope people will want to support their successful reintegration; click here for the website to find out more and - if you're not going to be spending tens of thousands on a dram this weekend - donate if you can. Some of you will be aware I had an alcohol-free week a short while ago and was pretty frustrated - not by the absence of drink in my life, which was fine, but with the variety of non-alcoholic items on offer in a standard supermarket. Help may be at hand. 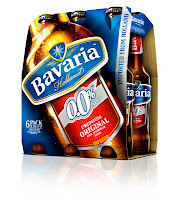 I was sent a press release about Bavaria, a brewery which produces not only a standard lager but an alcohol-free version. 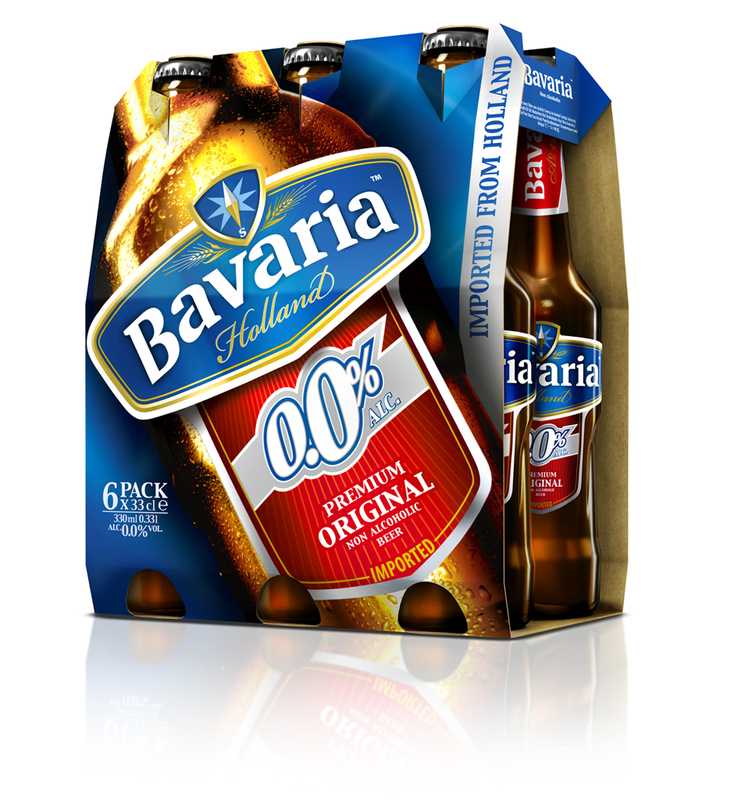 And, more interestingly to me - never a lager drinker - a zero alcohol wheat beer called Bavaria 0.0%. It's available from Waitrose and Sainsbury's and last week was on offer at half price, so of course I got a six-pack for just over two quid and tried it. I'm not going to say I don't miss the slight kick of an alcoholic beer. I'm not going to claim that the depth the alcohol flavour offers, say, a Heffe Weissbeer isn't something I miss. But in terms of tasting like something you'd volunteer to drink, something that compares reasonably to some of the full-strength offerings on the market, it's pretty good. I'd compare it with some of the citrussier wheat beers, more like the Meantime Brewery than Heffe - and I do prefer the Heffe if I'm honest. But it's a long way from the low-alcohol tosh we were sold in the 1980s, quite drinkable and if you must have beer - even for breakfast - then this one will do you no harm and allow you to drive afterwards. That said, my wife wasn't a fan and prefers a good ginger beer from Sainsbury's - which, because of the ginger, actually tastes stronger than a whole load of actual beers and also doesn't contain any alcohol at all. As regular readers will know, I'm not averse to a bit of moisturiser here and there. In fact when you reach your mid-forties, a good routine in which you wash your face properly with a soap-free cleanser before shaving (soap can in fact clog the pores) then moisturise afterwards makes a definite difference. I've been less impressed by eye creams. Not that I don't think they do much, I'm sure they do - I just haven't seen the necessity. So when SkinMedica sent me a sample of its Biometa Eye Repair product I was a little cautious. First we'll get the rant out of the way - could we all stop calling this stuff "repair"? The fact that I'm no longer 21 years old doesn't mean I'm damaged. As Dame Joan Bakewell said in an article recently, looks don't "fade" as you age, they change. A bit of relief from a bit of increased dryness would be good of course, and restoration of a little suppleness in the skin is always welcome, but please don't tell me it's a repair - there's no actual damage. End of rant. So, the cream comes in a nicely designed, expensive looking box and tub. It's aiming to look good in your bathroom and for an eyewatering (no pun intended) £89 a pop it had better. The cream itself goes on pleasantly enough and works, like most of them, by plumping up your skin a bit so the wrinkles are a bit less noticeable. It's unisex but I'd be surprised if they didn't get a whole bucket more female sales than male. The manufacturer says the cream improves and restores elasticity in the skin, boosts the skin's regenerative qualities, boosts natural collagen production, moisturises and attacks the pigments that make you look like a panda. OK, the last bit is my phrasing. I'm no scientist and would recommend you do your own research before accepting any specific claims about what a product like this does and how. It certainly helped a bit with moisturising the area under my eyes. My wife has also been using it and finds it's pretty good. She pays particular attention to her eyelids and I never have, so perhaps it's no great surprise that I haven't seen a huge difference - she'd be happy to buy it again and tells me the price is about average for this sort of item. It does reduce dark circles under the eyes if you have them. Mine are certainly there, I'm approaching my late forties for goodness' sake - but not badly so, which is why I'm not in much of a position to say just how well it copes with that. I'd welcome comments. 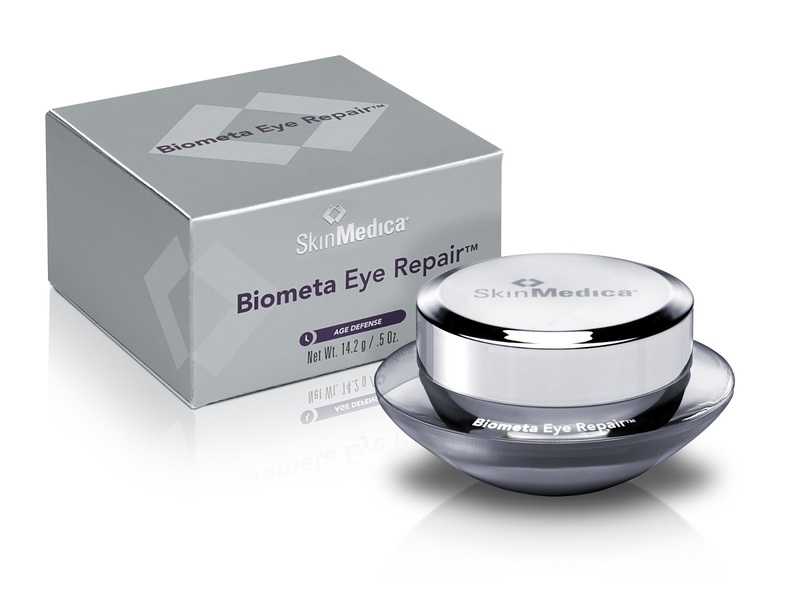 So if you're into your eye creams this should certainly be on your list of ones to try. If you're not, and if my experience is anything to go by, then this isn't going to convert you.